With so many incredible places to eat and drink in and around London we thought we would give you the scoop on the places that will not only delight your taste buds, but your inner interior designer too. Here are our Director Gail Taylor’s recommendations for some of her favourite restaurants, bars, and cafes around London with interiors to dine for. This family run Persian café & gallery is my favourite weekend brunch spot and a regular stop after a yoga class. With an eclectic interior crammed full of delicious goodies and interesting artwork dining in R&H is a feast for the eyes as well as the stomach. The portion sizes are huge and the food is fresh and delicious. As well as its sit-down menu they also make fresh pastries and have a deli upstairs. They open for the odd supper club event too which I can highly recommend. Leaf Wild is a gorgeous vegetarian café situated on Ladbroke Grove. Its contemporary interior is the perfect setting for an indulgent, yet healthy brunch. They offer fresh juices and smoothies, and take care to source the best quality ingredients from organic and local suppliers. Leaf Wild is also firm favourite of mine when I need to grab something on the go between meetings. All their take-away packaging is recyclable and / or compostable too! This is quite simply THE best coffee in London. I stop here almost every morning en route to the studio with my co-director, Sheila El Hadery. The coffee is so good Sheila even purchases the beans to use at home. A flat white from Ground is the best way to start the day. The beans are precision roasted at their roastery in Bicester where they roast over 1200kg of coffee beans per week! Ground’s interior is trendy but comfortable with its exposed brick walls, bustling coffee bar, and hard wood tables. As well as my morning caffeine stop, I also love Ground for a little time to myself; cosied up with a good book and flat white. Delighting the taste buds for over 30 years, Clarke’s is simply a Kensington institution. Its traditional interior creates a formal but intimate setting, perfect for a date night. My husband and I have celebrated many milestones here, including birthdays and anniversaries, and it never disappoints. It’s fair to say that Clarke’s will always have a special place in my heart, and I’m not the only one… Lucian Freud, acclaimed British painter, was a regular here for most breakfasts and lunches for over 15 years! There are even some of Freud’s original paintings hanging on the walls. Sally Clarke is a culinary queen and her menu is full of exquisite dishes made from beautiful fresh ingredients. For a limited number of evenings per year the stunning Petersham Nurseries opens up its glasshouse for a candle-lit supper club like no other. With a bespoke set menu made up of seasonal ingredients and produce grown in their gardens, Petersham Nurseries supper club is a truly exceptional dining experience. It is particularly beautiful in the summertime when you can watch the sunset through the glass roof, but it is also one of my favourite spots for a Valentine’s Day date with my husband. 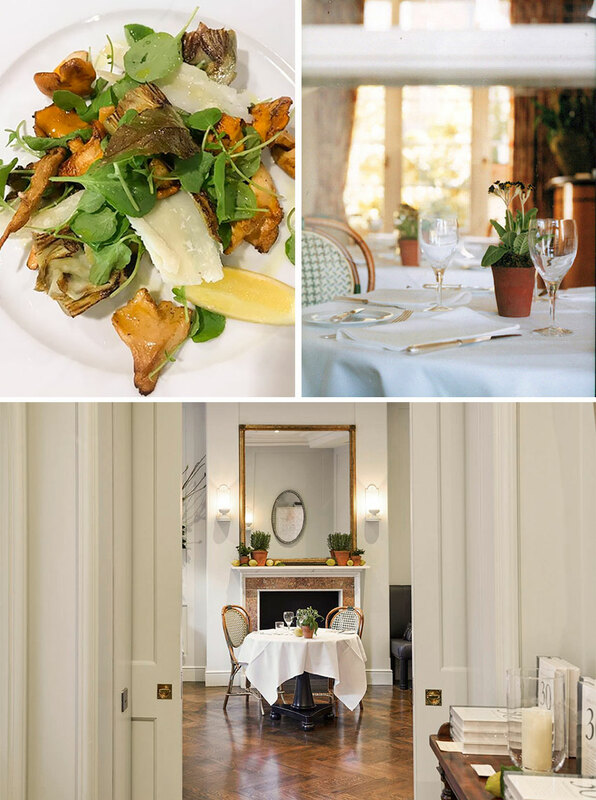 You can find supper clubs at both Richmond and Covent Garden, however my preference is always for original set in the leafy surroundings of Richmond and a short walk from my home. 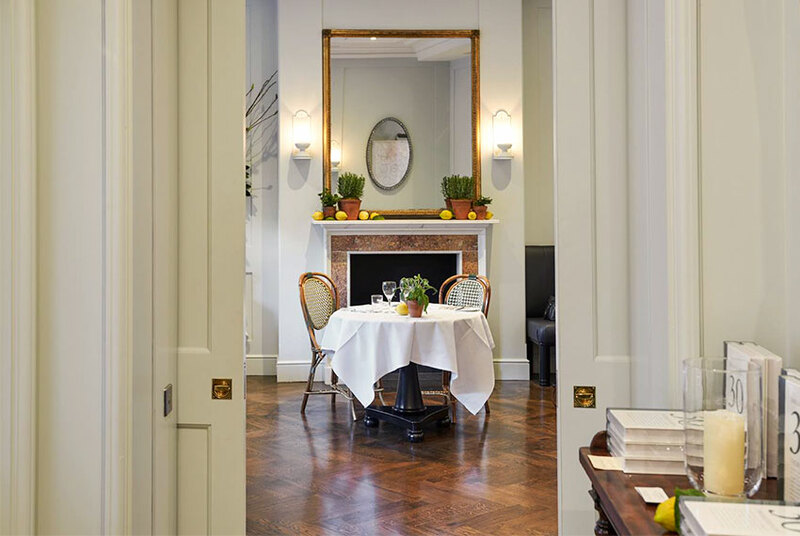 Designer Kit Kemp says “Every room is like a painted canvas”, and the restaurant and bar at Ham Yard, part of the Firmdale Hotel Group owned by Kemp and her partner Tim is no exception. Situated just around the corner from one of our latest projects, and just by Piccadilly Circus, Ham Yard is one of my favourite places in central London to take clients. With 20ft high ceilings, the restaurant and bar is vast, but Kemp was careful to ensure that it is feels warm in every corner, installing a skylight to eliminate shadows and create a well lit contemporary space. This is balanced with bold patterned fabrics and art adorning every wall. The result is a large distinctive space that feels simultaneously full of energy and delightfully intimate. Just like Kemp’s gorgeous fabrics that we sometimes use in our designs, Ham Yard is colourful, vibrant, and always a good choice. For a big family dinner there is no better choice than the private room at River Café. 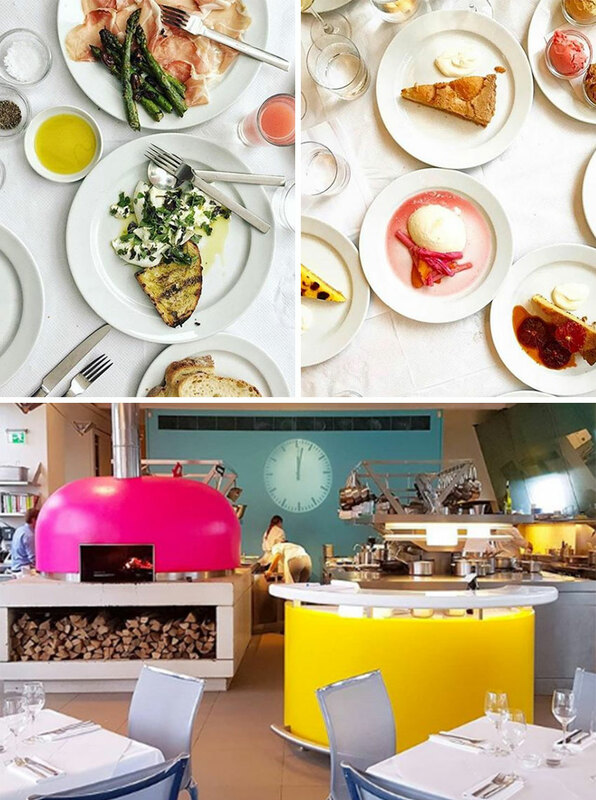 The modern, colourful interior with its neon pink wood-fired pizza oven is matched by the vibrant, fresh, Italian food. Located on the banks of the thames, River Café has a unique atmosphere. The private room seats up to 18 people so it is ideal for a noisy family gathering, with room for all the kids, grandparents, aunts and uncles! Not only is the food delicious, the staff are lovely as well. The menu changes daily and is made up of all kinds of tasty seasonal Italian dishes, but pizza is all year round, so there’s always something for everyone! Walking into The Connaught bar is like stepping into the set of Mad Men. You almost expect to see Don Draper reclining on one of the gorgeous deep green leather sofas sipping an old fashioned. The interiors are incredible; with high, decorative ceilings, and marble floors, The Connaught oozes elegance. Ralph Lauren was said to be so in love with the iconic staircase that he had a replica of it installed in his flagship store on Madison Avenue in New York! On top of this, the cocktails are fabulous and the service impeccable. 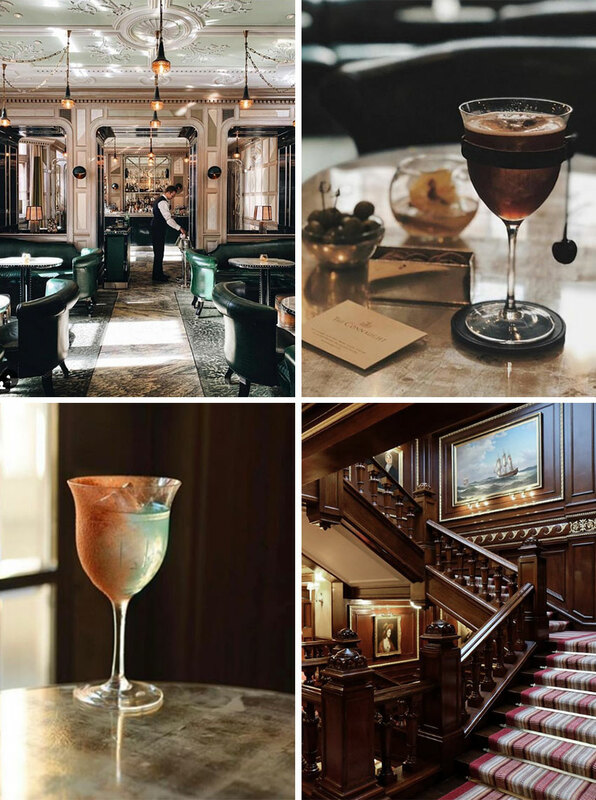 The Connaught is the perfect place for a classy cocktail and to soak up some of London’s historic charm. 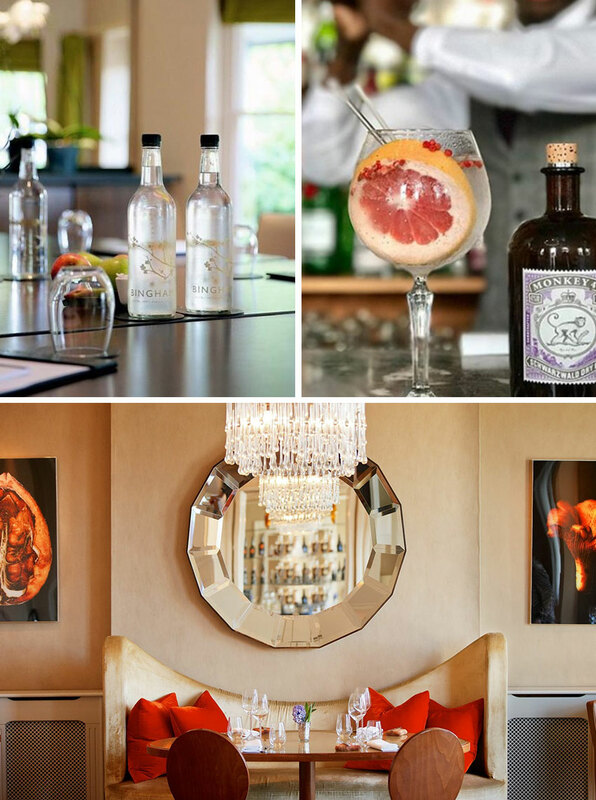 The lounge bar at The Bingham in Richmond is the perfect place for a relaxing cocktail. It’s chic interior is a wonderful mixture of classy and quirky, with unusually shaped bespoke sofas, and gorgeous traditional chandeliers. It’s a warm, inviting space with a fabulous atmosphere. The Bingham is rich with history, originally built as two manor houses in 1740, and has entertained many literary greats, including W.B. Yeats. But its most defining feature has to be its idyllic view of the Thames, which is almost the exact view depicted in the famous painting by William Turner, ‘Richmond Hill’.